EI for teacher helps educators develop their practice. 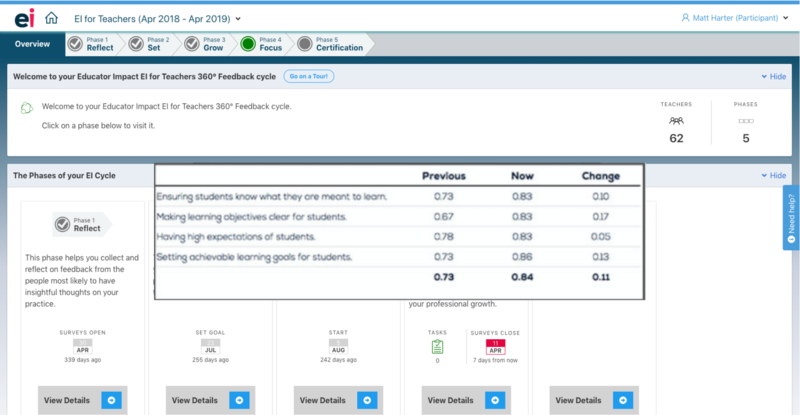 In the EI portal teachers record reflections, activities they have tried, learnings gained from peers, and insights from coaching/mentoring conversations. All this is recorded as an achievement diary which can be printed and shared. 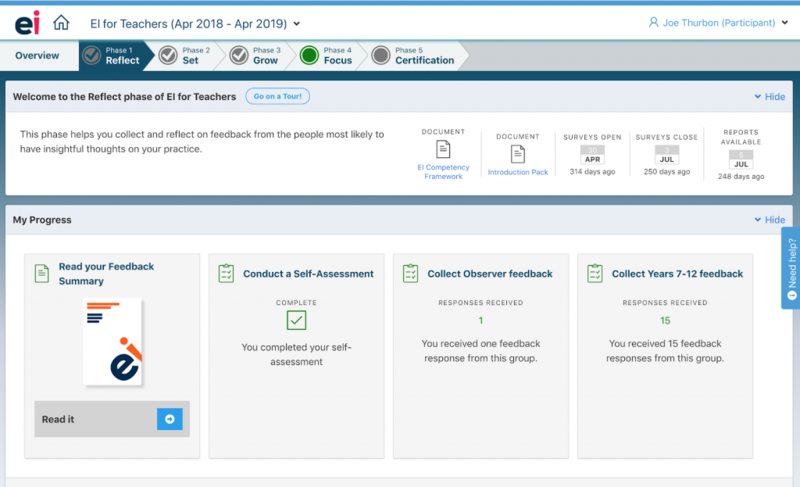 Teachers can get access to progress feedback on the area they have been working on. A smaller set of surveys is used to get progress feedback and teachers can assess how they have progressed so far. We’ve made the process of getting and using feedback simple enough to use annually. 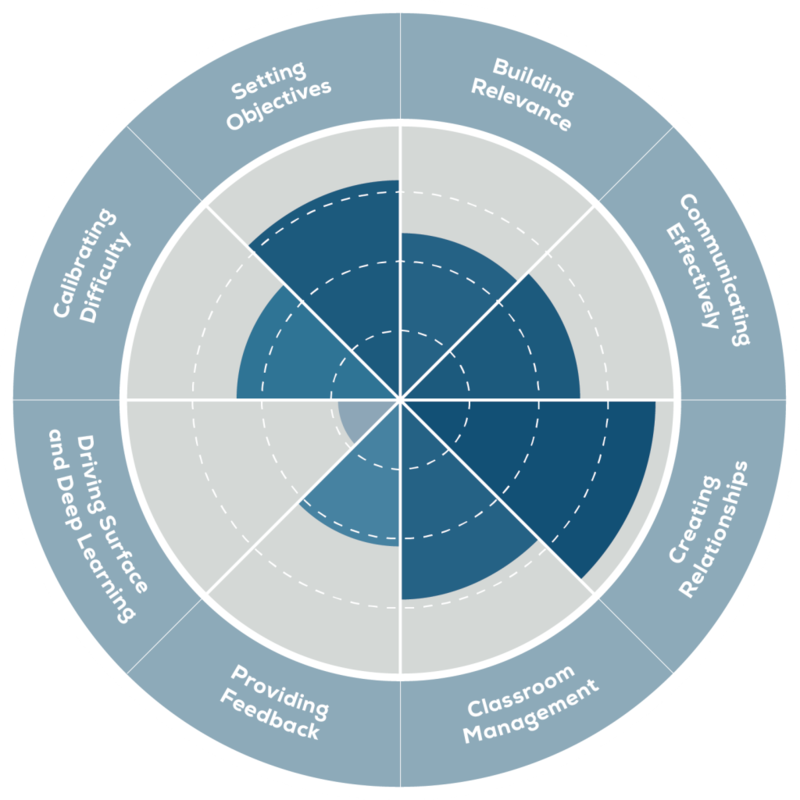 This allows you to be able to continually improve, helping you to continue to focus on what matters – improving your effectiveness as teachers. 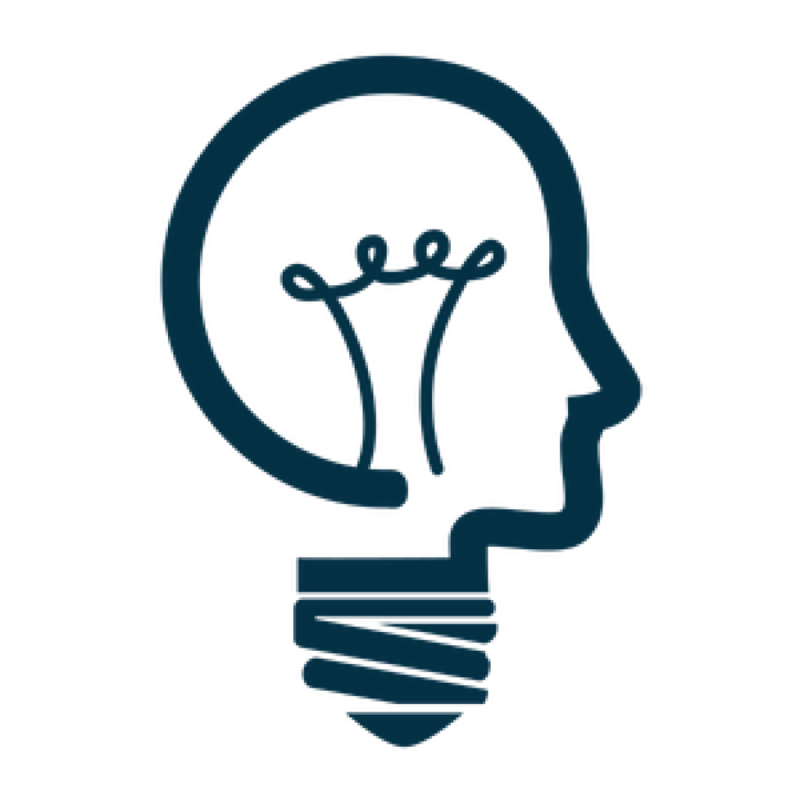 Our solution can be customised to map to local professional standards or frameworks. If you have your own standards or frameworks for your school get in touch to hear how we can do the mapping. EI is endorsed to provide NESA/BOSTES QTC Registered PD for teachers accredited at Proficient Teacher. Completion of one cycle of EI’s professional learning for teachers will contribute 4 hours of QTC Registered PD.